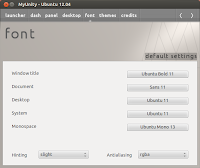 MyUnity is a configuration tool for Unity which lets you tweak several different parts of the desktop, most of which can't be tweaked easily otherwise. 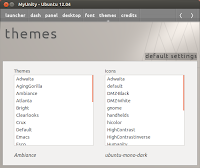 MyUnity came to birth during the times when users were annoyed with the lack of configuration options for Unity in Ubuntu Natty. It has evolved quite a lot since then, and by now, it is the most powerful configuration tool for Unity. 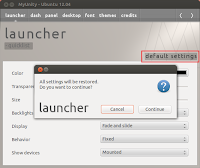 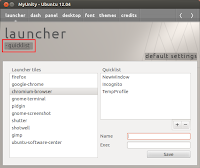 It has already reached version 3.0, which, while also supporting older versions of Unity, supports many of the new features that were introduced in Ubuntu Precise's Unity, e.g. 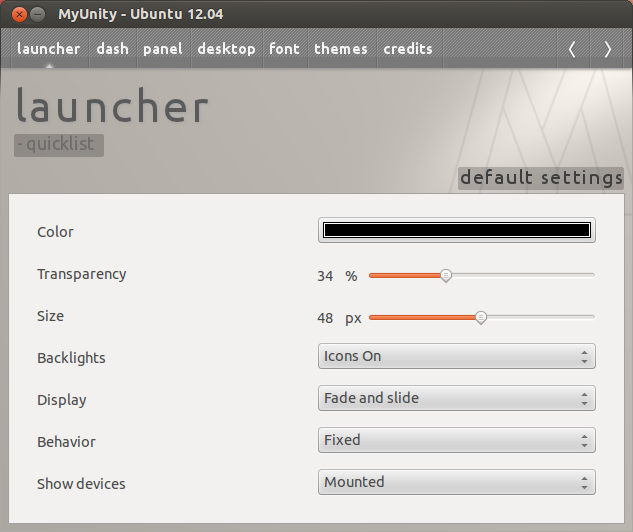 Launcher color, toggle show/hide 'available' apps in the Dash, toggle show/hide 'recent' apps in the dash, enable 'Show Desktop' icon, and a Quicklist editor. 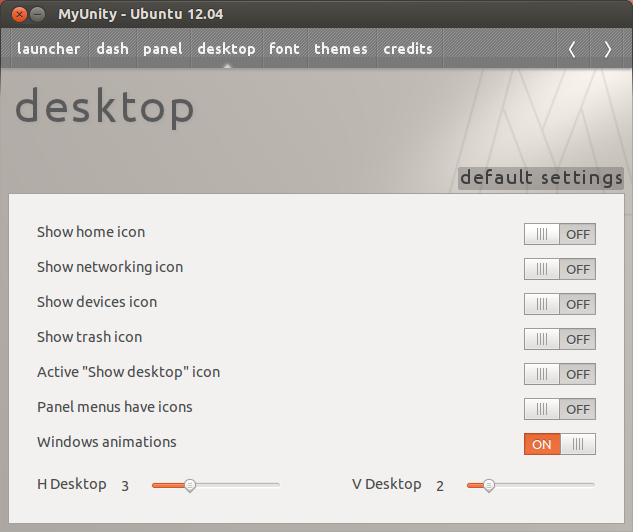 These features either won't show up for older versions of Unity, or they will be dimmed out. 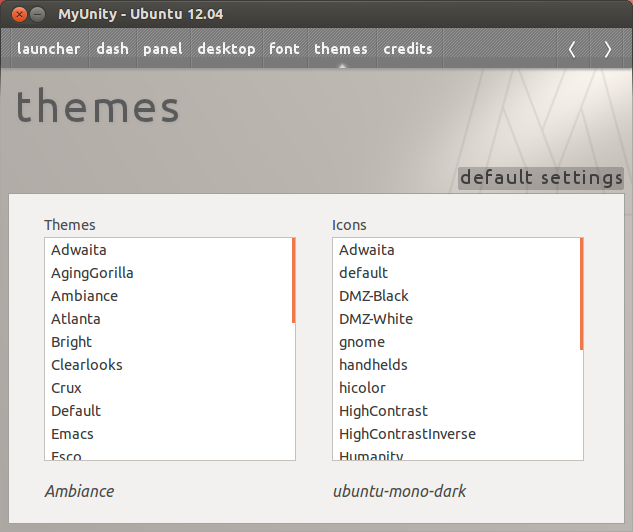 It is an indicator of MyUnity's popularity and power that it was included in the official Precise repositories. That is, you can now install it from the Ubuntu Software Center in Precise without needing to add any PPAs. 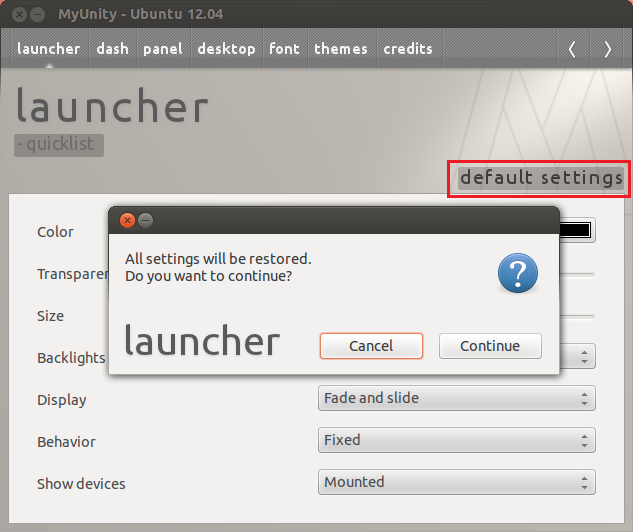 You can restore default settings for any of the Unity items, i.e. 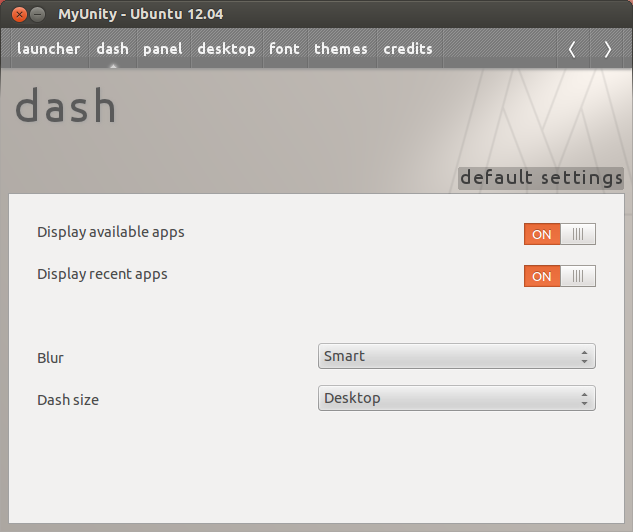 Launcher, Dash, Panel, Desktop, Fonts and Themes, by clicking the 'default settings' button on the respective page.